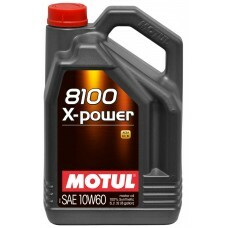 Motul 8100 X-Power is a 100% synthetic high performance engine oil with an SAE viscosity of 10W60. Designed for use in cars with high performance naturally aspirated or turbo/supercharged petrol or diesel engines, 8100 X-Power has an increased resistance against deposits and offers high levels of anti wear protection. These properties ensure longer lasting protection for your engine along with stable oil pressure. 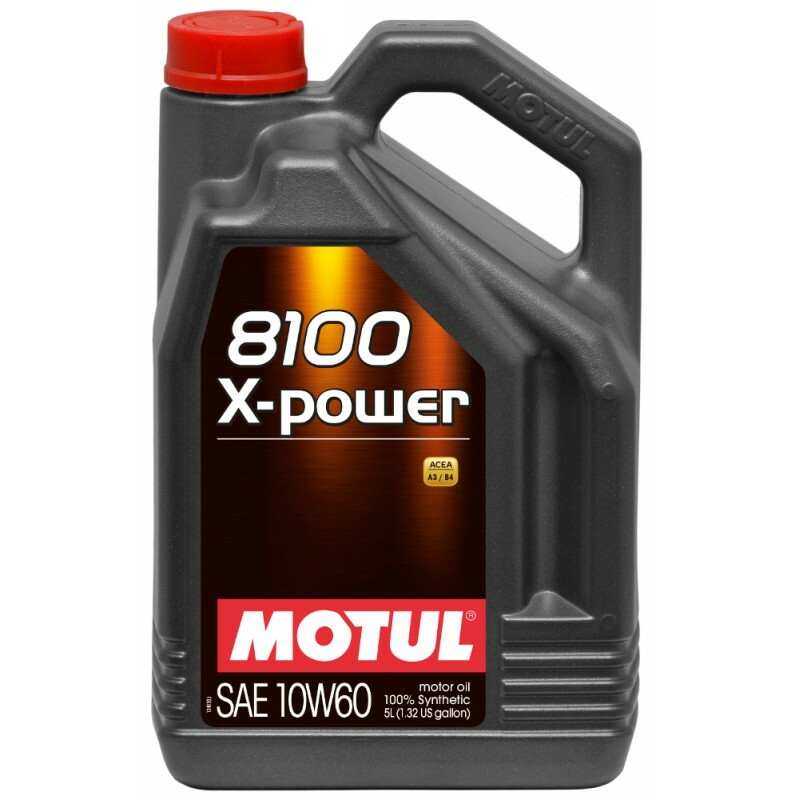 8100 X-Power has an increased oil film thickness which reduces burn off in the combustion chamber and helps prevent oil leaks in higher mileage engines. This oil is currently used in the Swindon Powertrain supplied TOCA engine in BTCC.